What is the difference between international relief and development? The way we help those in need often falls into one of two main categories: relief and development. Within these categories, there are dozens, if not hundreds of different areas of focus, like maternal health, water, microfinance, hunger, literacy, nutrition, and education. Each of these needs can be addressed in a way that focuses on either international relief or development, and so it is critical to understand the difference between the two. Relief may be defined as the “urgent provision of emergency aid to reduce immediate suffering during a crisis.” Following natural or environmental disasters such as hurricanes, floods, earthquakes, and droughts, or human disasters such as political instability and wars, individuals and communities are often incapable of meeting their immediate needs and require help as soon as possible. The solutions used in relief work need to be deployed quickly and address the immediate problems as thoroughly as possible. Relief work might look like sending food and blankets after an earthquake. They are a response to a temporary calamity, helping to stop death and suffering and bring people from disaster mode to recovery mode. Although these efforts sometimes last longer, most relief work is done in weeks or months. Relief work is essential to meet the immediate needs of individuals and communities. In the WASH context, relief work would look like installing water wells and building latrine blocks in refugee camps in order to help displaced people get safe water and inhibit the spread of diseases among people living in close quarters. In time, these people would return to their homes and communities, where they still need safe water and sanitation, but must seek solutions that don’t depend on ongoing outside assistance. Development focuses on the long-term process whereby individuals and communities sustainably improve their quality of life. It is the work to meet the anticipated needs of an identified community far into the future. “Development is not done to people or for people but with people. The key dynamic in development is promoting an empowering process.” The solutions employed in development work must work with people that are being served in order to become sustainable solutions that will permanently change the situation of a community. These solutions almost always include training, education, participation, and long-term planning for maintenance of resources as a part of development efforts. Rather than focusing on quick responses to crises, development programs last years and gains often take years to see. This work is essential to sustainably transforming a community. 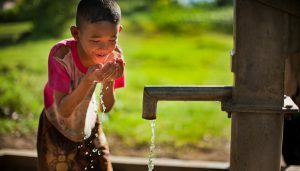 In WASH, development looks like working with communities and regional actors to ensure universal access to water, sanitation, and hygiene education for generations. International relief and development are both necessary, but each at their own time. 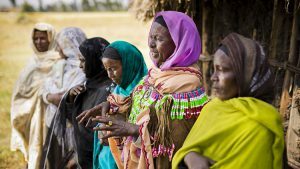 When relief methods are applied in development situations, the change rarely lasts far beyond the project, returning a community back to the original situation. And when development methods are applied in relief situations, help often comes too late and fails to meet very urgent needs. Many organizations serve people with WASH through either relief or development work, but it’s important to be sure the organization is using the right methods at the right time in order to serve others best. For more information about common standards in international relief and development work, visit the Accord Network website. Lifewater’s Program Director, Dr. Pamela Crane-Hoover, currently serves on the Accord WASH Alliance steering committee. Steve Corbett & Brian Fikkert, When Helping Hurts: How to alleviate poverty without hurting the poor (Chicago: Moody, 2009), 104.